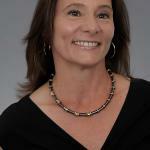 Lisa Jaeger, Associate Broker Coldwell Banker Village Green. Active member of local real estate board Columbia-Greene MLS, Ulster MLS and NYSAR. Selling real estate on the Mountain top for nearly 18 years. A full time Windham resident, raising my family of avid ski racers, golfers and outdoor lovers. Passionate about our town, local businesses and sustainable future growth. Believe that Windham is an exceptional place to live and own a vacation home! Our agency mission is to provide exceptional services whether selling or buying real estate in the Windham area.